At first I was a little worried that all of Boston’s good songs were singles. For most of their albums they have like three to five singles. But as I looked in to it, I realized that there were lots of songs that were overlooked, or just simply did not have the time to make it to single status in an album cycle. 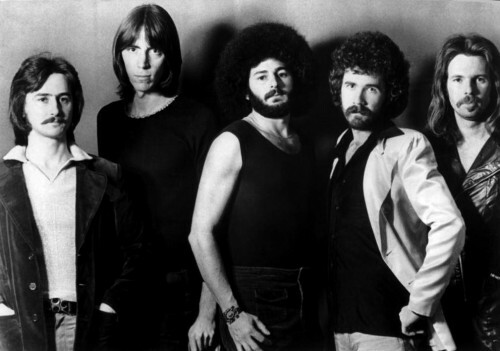 Of course, a person really can’t talk about Boston deep cuts without talking about Tom Scholz and Brad Delp. Delp’s vocal styling is unforgettable. The belting in “More Than A Feeling” are instantly memorable and known by folks of all generations. When the album Boston came out in 1976 I almost wonder if the world of rock ‘n’ roll knew what they were getting themselves into when this kid with a master’s degree from MIT and another toiling in the local music scene got together to record what became known as the 17x platinum, number 3 on the Billboard 200 self-titled, debut album. This duo reminds me of another favorite musical pair of mine – Meat Loaf and Jim Steinman, though arguably Scholz and Delp had a much better go with the record labels than Meat and Steinman did. Also worth nothing before we get underway here is that Boston by Boston turns 40 in August! The band will embark on a 40th Anniversary tour from April to August, make sure not to miss it! Check out the deep cuts here. The first song on the second side of Boston, “Rock & Roll Band”, is not a Boston single, but it is brilliant, and as such, it is our first deep cut. Delp really puts his range on display in this track and Scholz tells one hell of a story in one fantastic way with this one. The song’s opening and closing lyrics are worth a read, as they describe the band’s rise to fame. Not only is this song a perfect example of everything Boston is about, it is a perfect example of everything rock ‘n’ roll is (and should be) about. It’s kind of like Foreigner’s “Juke Box Hero” that – on one level it’s about rock ‘n’ roll, but on the much more relatable level it’s about working hard and accomplishing your dreams. Boston says, “No, we didn’t have much money. We barely made enough to survive, but when we got up on stage and got ready to play, people came alive.” And that’s what it’s about. They did something that meant something to them, and they were willing to work hard and struggle for it. Other songs like Bad Company’s “Shooting Stars” tell stories of what can happen when we indulge in excess, but that isn’t what Boston chose to focus on. The obvious rocker that is “Rock & Roll Band” can be contrasted by the ballad skill of the band. “Hitch A Ride” exemplifies Scholz’s guitar prowess and may not be strictly a ballad, but is not an upbeat song either. Though this song is about New York City, the theme of the chorus is applicable to anyone who ever feels trapped. If it’s really getting to be spring where you are like it is here – and if you ever feel stuck as I sometimes do – laying down in bed with the window open, or outside with the sun on your skin with this song may just be able to take you away, if only for about four minutes. Next up is the second to last track on the album “Something About You”. I like this song because I feel like it really brings about the uniqueness of Boston’s sound. I mean they’re sound is really, truly unique. But “Something About You” is just huge and anthemic. It has so much space in it. The song ends with the line, “But there was something about // yeah there was something about you.” Leaving the listener to wonder if the protagonist ever was able to reconcile with the woman in the song or not. At any rate, it’s another love song. If you’re looking for music that doesn’t require all of your anger and fist-pumping, head-banging rage – definitely check out Boston, and if you’ve only heard the hits, than it’ll be more than worth your while to listen to these deep cuts. Boston has plenty more material, so stay tuned for another Boston deep cuts piece in the future.